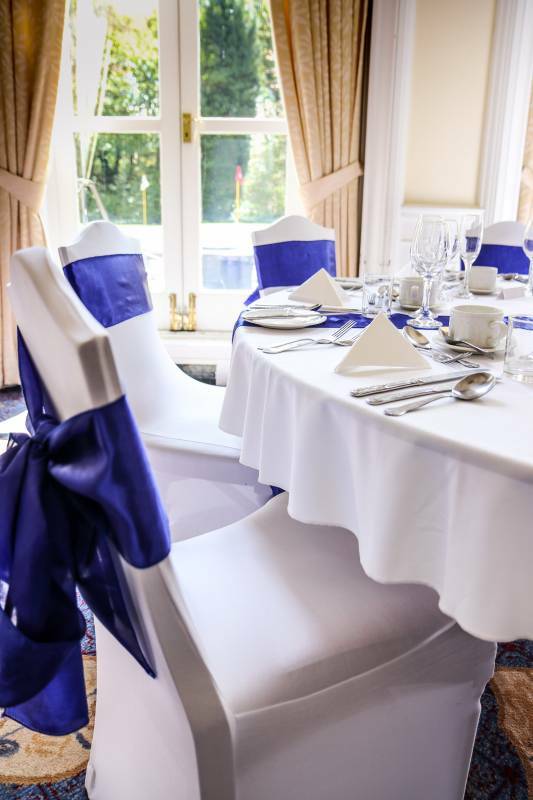 Here at Leigh Golf Club we know planning a wedding reception can be a daunting task, so we strive to help make your perfect dream become your perfect day. With many years experience in hospitality and catering our Catering Manager Mr Rob Richardson is more than qualified to help. 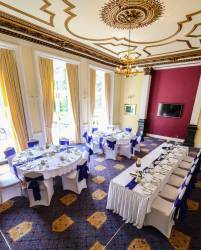 Rob along with his friendly staff will only be too happy to advise you on your Wedding requirements. The Clubhouse itself is the magnificently imposing Grade II listed Kenyon Hall. 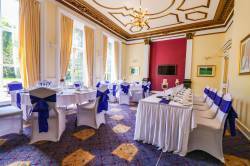 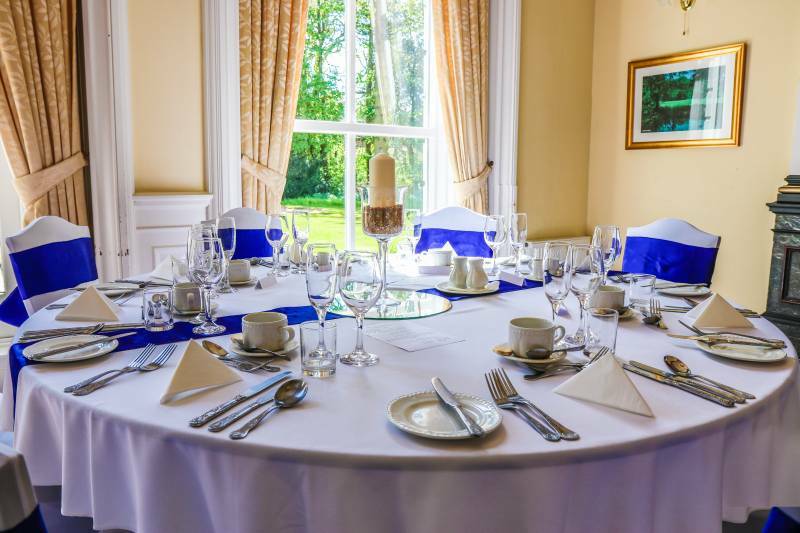 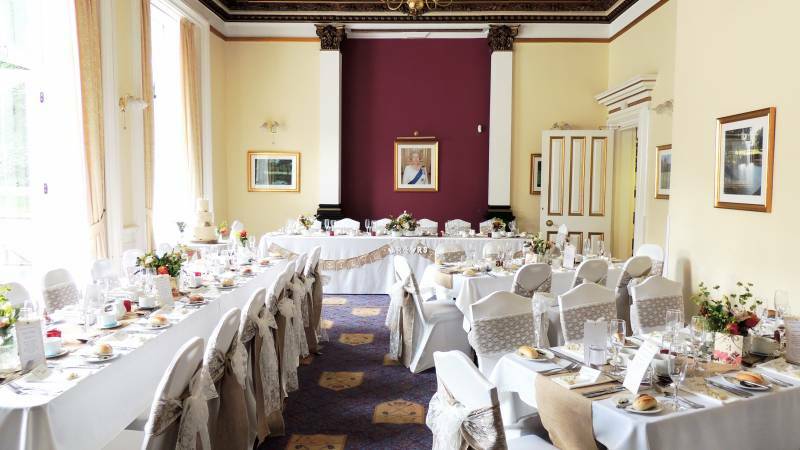 It is the perfect venue to hold a wedding reception, from its classically beautiful Function room with period features to its stunning 110 acre parkland location. Kenyon Hall will ensure you feel confident that your guests’ needs will be taken care of. 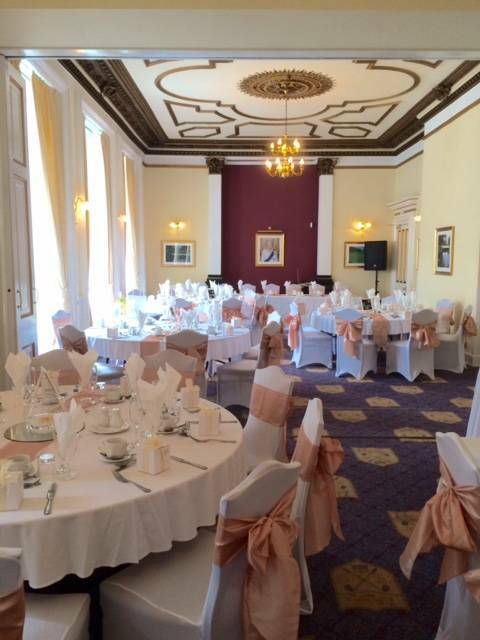 Wedding Set With Rounds Full Room.